Have you ever thought of using your beaded jewelry as garlands? How about to decorate Christmas lights or to enhance another gift? Here are some great projects that are fast and easy to do, and will leave your house (and packages) looking elegant and festive! Holiday earring patterns are available for free all over the internet, and they make wonderful ornaments as well. You can even use the regular shepherd's hook earring findings so that both you and your tree can wear them! Some of my favorite quick patterns are on About.com's Beadwork site (link above). Is it a pendant, an ornament, or a gift tag? How about all three? This square stitch rosette pattern holds many possibilities. 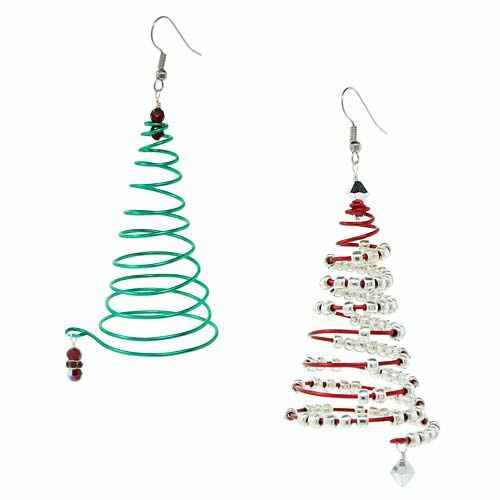 And how about these darling little beaded wire trees by Fusion Beads? 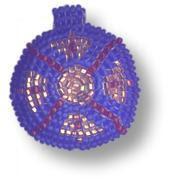 Small beaded wreathes for your tree? 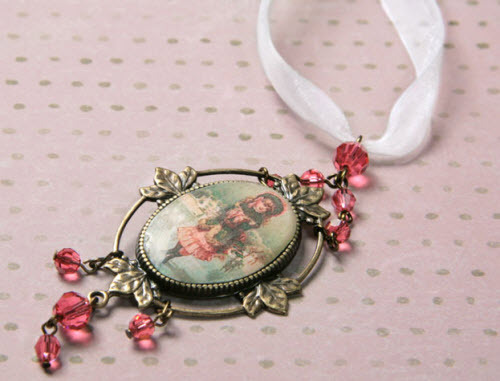 These can be made to be elegant or cute, depending upon the beads you choose. 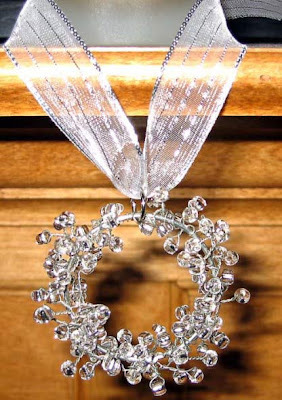 Five more beading ideas from Beading Daily. Fun ways to use beaded jewelry at Christmas on the Bead Jewelry Blog.